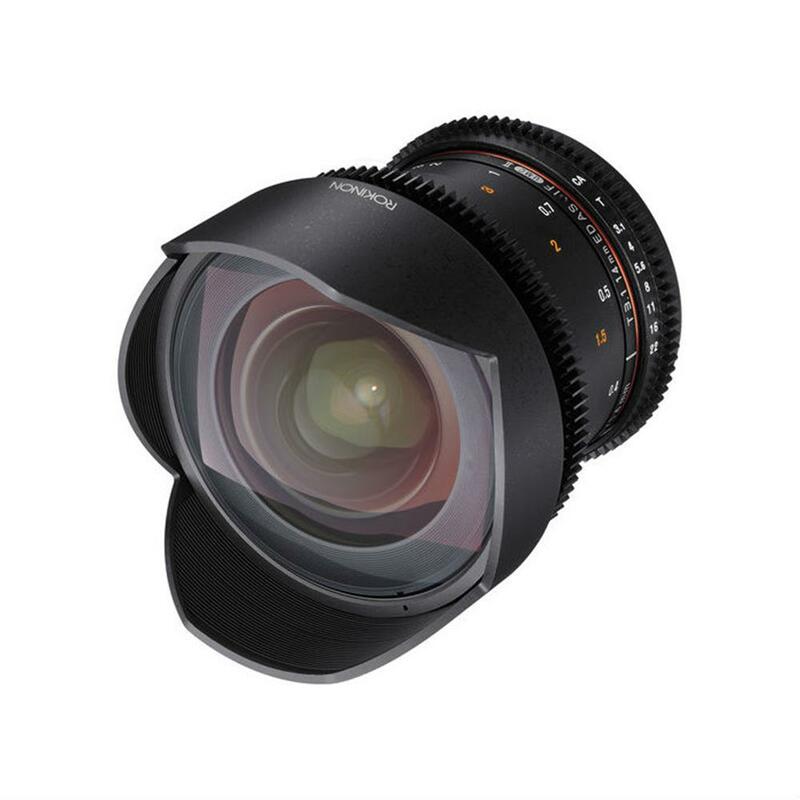 The Rokinon 14mm T3.1 Cine ED AS IF UMC Lens was developed primarily for film and video applications. 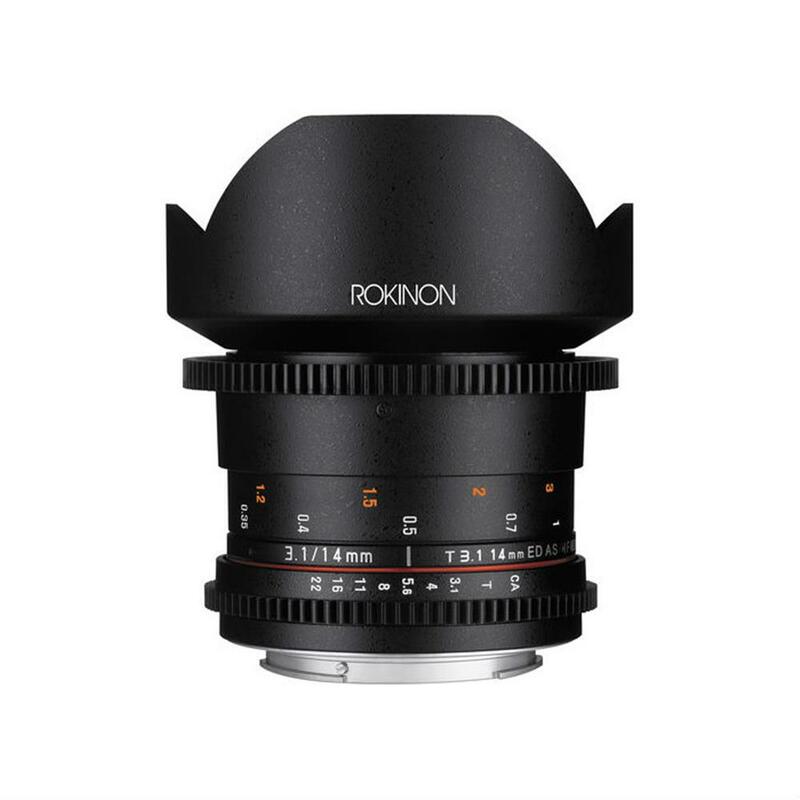 The cine version of Rokinon's 14mm lens features industry-standard gearing for the focus and aperture ring, and the aperture ring has been de-clicked for smooth iris pulls. The aperture and focus scales have also been relocated to the side of the lens, where it is easier for focus pullers to read them. Fast T3.1 maximum aperture benefits working in low-light conditions. Three high refractive index elements, two extra-low dispersion elements, one hybrid aspherical element, and one aspherical element reduce chromatic aberrations in order to produce greater sharpness and clarity.